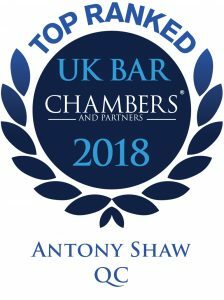 Tony Shaw QC is ‘an exceptional white-collar crime barrister whose advice is both intellectually robust and commercial’ and ‘an unflappable and highly convincing jury advocate who advises on high-stakes criminal matters, including alleged rate manipulation and tax fraud.’ ‘He is highly praised for his ability in the most complex cases.’ ‘He has deep knowledge and experience, and is a go-to for complex multi-jurisdictional matters.’ ‘He is very effective’ and ‘very rigorous.’ ‘He’s a thoroughly nice and extremely bright barrister who has been around and seen it all.’ Chambers UK (2019) ‘His skill at managing documents is superior to the majority of his rivals.’ Chambers UK (2018) ‘Scholarly and someone with an incredible work ethic, he has a nice touch with judges and juries.’ ‘He has a great presence in court, is bright and works very hard.’ Chambers UK (2017). Described in an earlier editions as having a ‘reputation as one of the country’s pre-eminent fraud practitioners’ and ‘a brilliant lawyer, who puts his life and soul into his cases, he has been mentioned or ranked every year in the field of fraud by annual directories since 1989. His practice in serious fraud, business, corporate and financial crime is extensive. It pre-dates the creation of the SFO and the FSA/FCA and he was instructed as a junior to represent the principal defendant in the SFO’s first major trial (Guinness). Tony principally defends, although he has also prosecuted for the SFO and the FCA. His legal expertise is wide. He is said to be ‘scholarly’ and ‘intellectual.’ For many years he has written for and edited some of the leading publications in corporate crime, serious fraud and conspiracy including Archbold, OUP’s Fraud loose-leaf and Practical Law’s Business Crime and Investigations. Tony strongly believes in the benefits of working as part of a team. He ‘works very closely with solicitors and always complements the work they have done.’ He is ‘very good at using new technology to aid case management’ and ‘is technologically savvy.’ He is analytical, commercially focused, attentive to business and client objectives, and ‘extremely user friendly.’ He advises corporate clients on internal investigations into financial crime and corruption issues arising both at home and abroad. Tony Shaw has appeared or advised in many notable cases or investigations as a junior and, since 1994, as a silk. MWK (2009-2010) (UK arm of international joint venture of US (KBR), Japanese, Dutch and French companies involved in $182m of bribes to secure $6B Nigerian Bonny Island development contract: SFO and foreign agencies involved). Sumitomo (1996 – 2000) (advising UK metal brokers subject to SFO investigation of into broking with Hamanaka who lost Sumitomo $2.6B in unauthorised copper trading). Advising an international UK quoted company in respect of possible corruption of a foreign government by an overseas agent (2016 and ongoing). Advising an international company in respect of an SFO investigation into extensive corruption overseas (2016 and ongoing). Advising an international company in relation to possible offences, including corruption and imports in breach of EU anti-dumping provisions (2016). Advising a UK firm on issues including LPP arising out of an SFO investigation. Tony is said to have ‘an easy and engaging style’, ‘a nice touch with judges and juries’, and is ‘an unflappable and highly convincing jury advocate’. LIBOR 2 (alleged conspiracy to manipulate the YEN Libor rate). Amazon (advising and appearing on extensive disclosure issues in tax evasion case at first instance and in the Court of Appeal). Innospec 2 (multi-million dollar bribes to Indonesian Government officials to secure sales of lead additives and other chemicals). Operation Saturn (FCA insider trading – largest to that date). Copeland School (alleged £1.6m local authority educational fraud). Tangelo (online banking used for money laundering). Tangelo 2 (one of the largest HMRC duty diversions: successful abuse of process arguments after fundamental HMRC disclosure flaws exposed). Operation Holbein / Pharmaceuticals (alleged £150m cartel conspiracy to defraud the NHS abandoned after successful interlocutory argument which went to the House of Lords on whether and how far cartels fell within the ambit of conspiracy to defraud). Vintage Wines (SFO high yield international wines and spirit fraud, followed by a phoenix fraud –Vintage Wines of St Albans). Simetal (letters of credit/banking/shipping fraud). Paulssen (high yield investment fraud). Alliance Resources (oil prospectus fraud). Anchor Butter (largest ever alleged EU duty evasion). Butte Mining (share prospectus fraud). BCCI -Virani (false information to auditors). Eagle Trust (use of company funds underwriting its own shares). Polly Peck (Asil Nadir: false accounting/theft). Guinness (Ernest Saunders: takeover share manipulation). Cancer with Children (charity fraud). William Press (alleged LOSC – Labour only subcontracting fraud). An excellent lawyer and a pleasure to work with – Legal 500 (2015). He has an excellent reputation for defending major fraud and corruption cases. Solicitors praise him for his assured approach and extensive expertise – Chambers UK (2014). Wins considerable market praise for being an intellectually powerful and highly effective jury advocate who is ‘experienced, thorough and fair’; ‘absolutely brilliant’ and ‘properly intellectual’ . . . his ‘easy and engaging style’ makes him a hit with juries – Chambers UK (2012). A purveyor of ‘robust advice’ on all manner of fraud offences. A sage and experienced hand when it comes to serious fraud work. 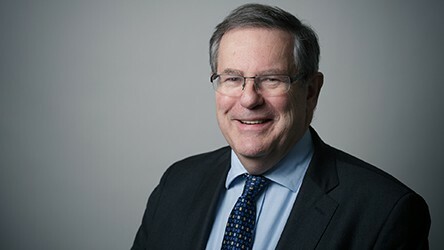 His involvement in the long-running Pharmaceuticals case further confirmed his reputation as one of the country’s pre-eminent fraud practitioners, and he has continued to build on this momentum – Chambers UK (2011). Bar Council (co-opted) Fees and Legal Aid Committee, member (1994-7), Vice Chairman (1995-7; 2008-9) and Chairman (2010-11).